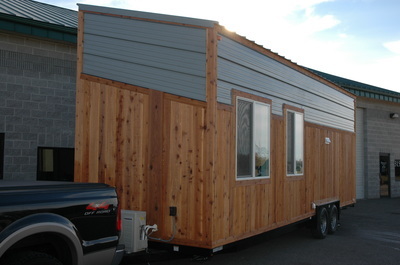 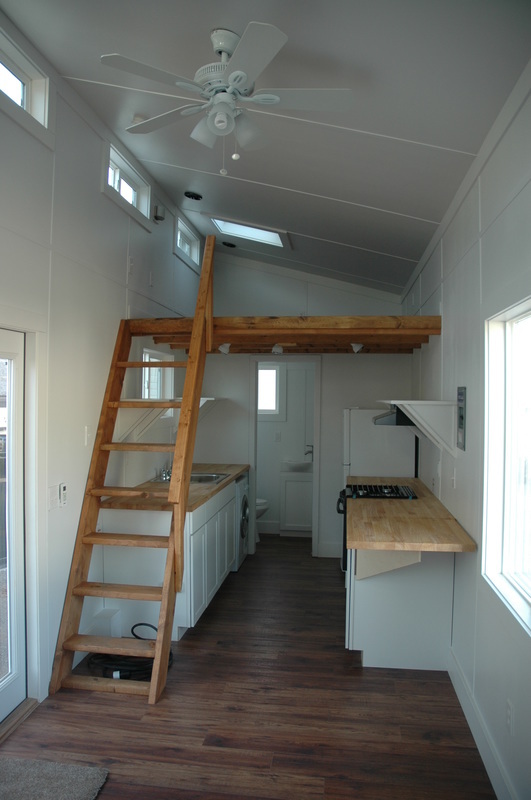 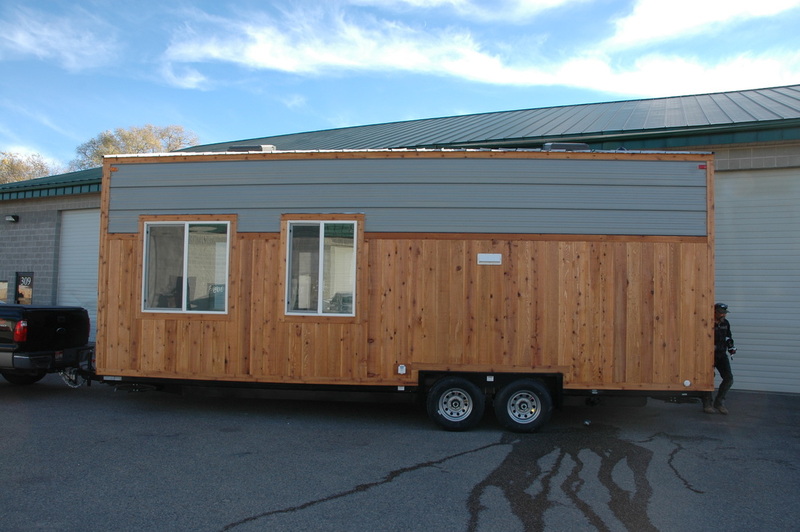 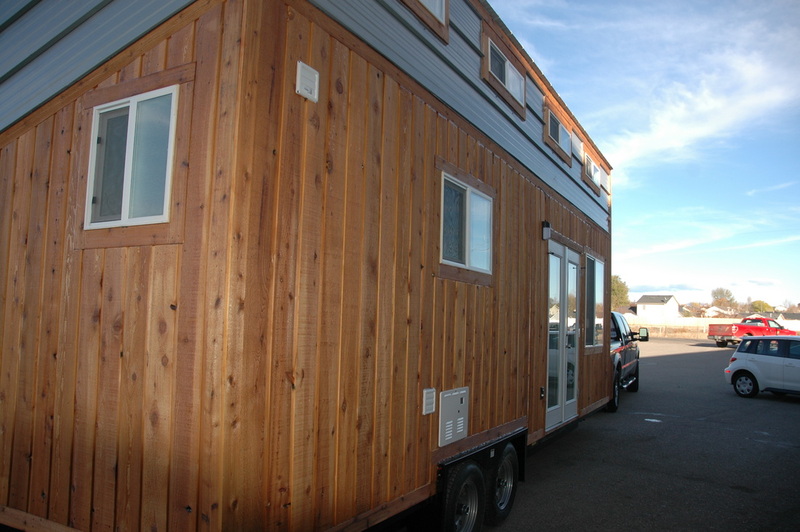 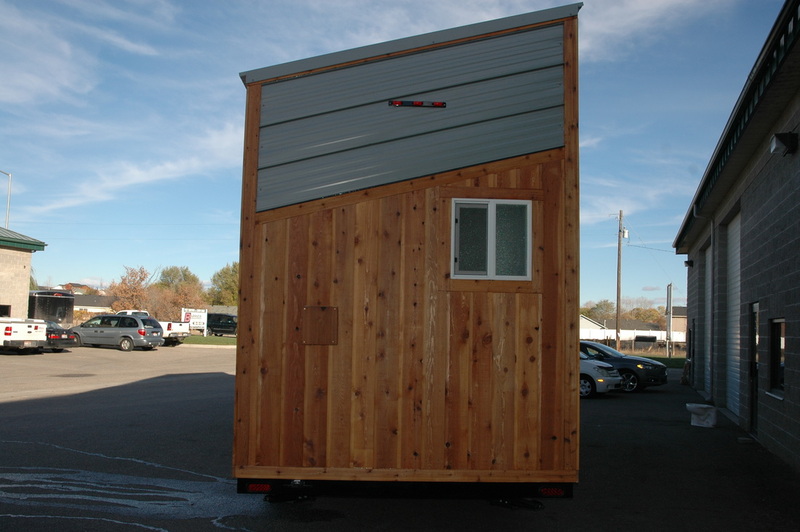 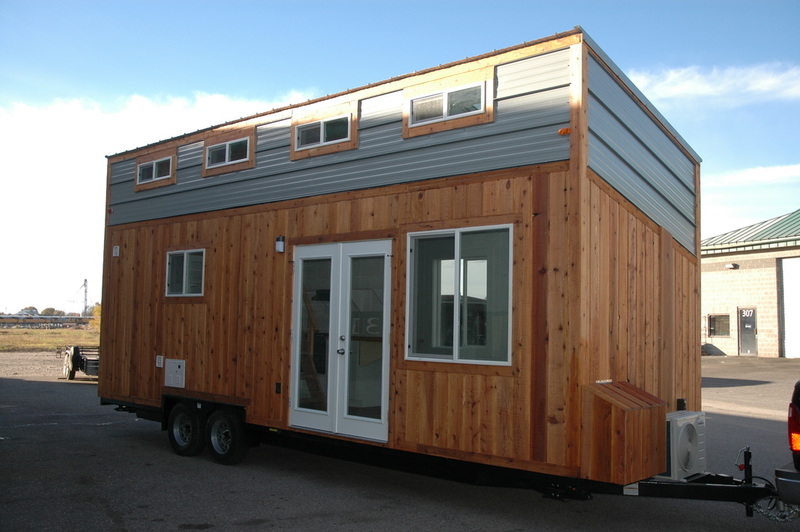 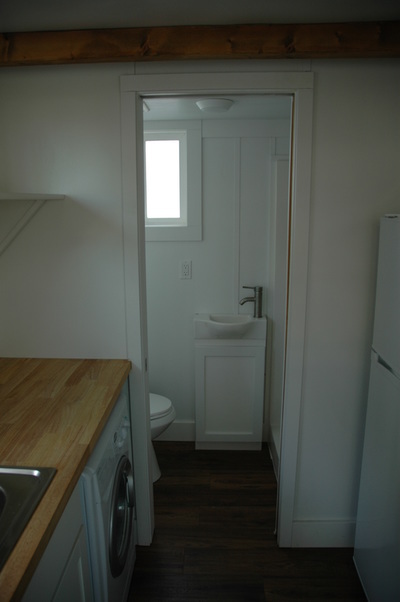 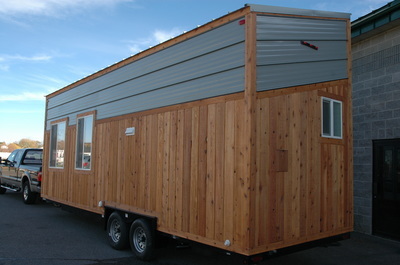 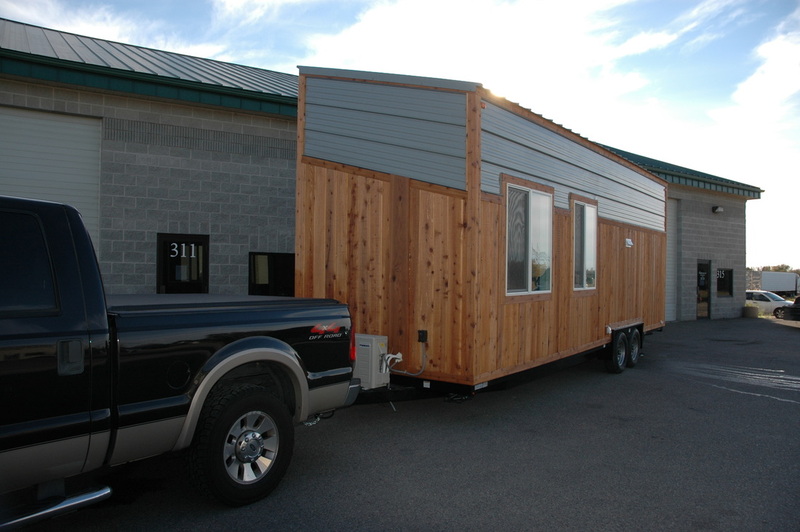 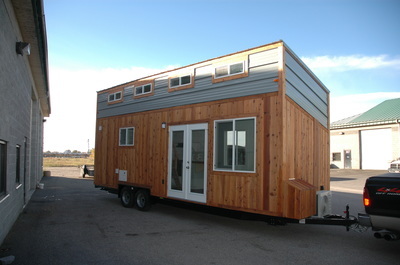 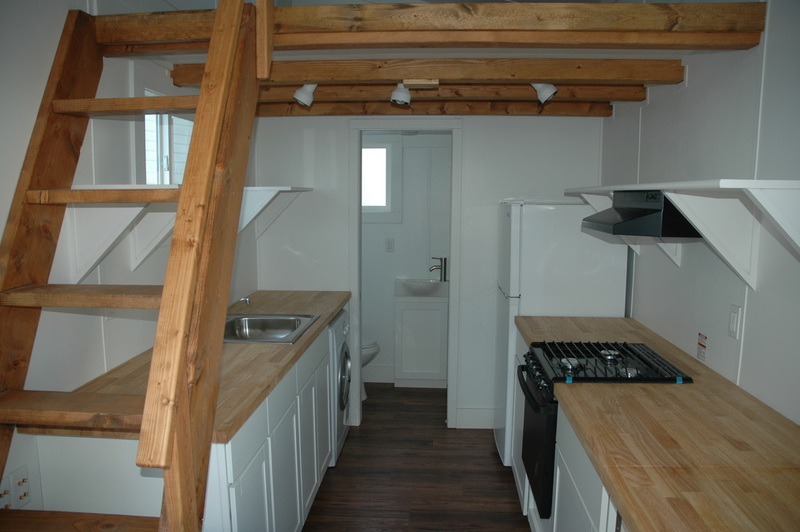 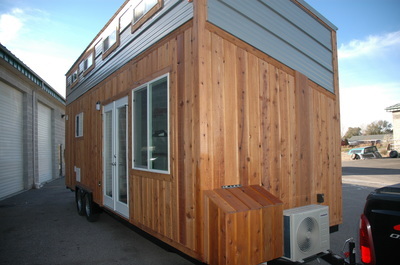 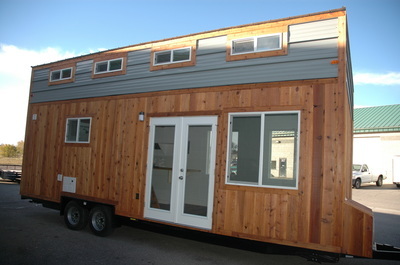 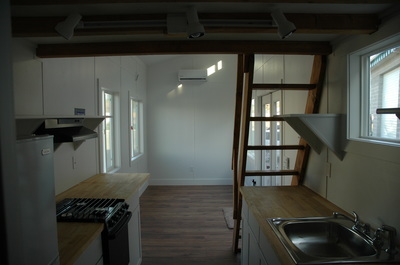 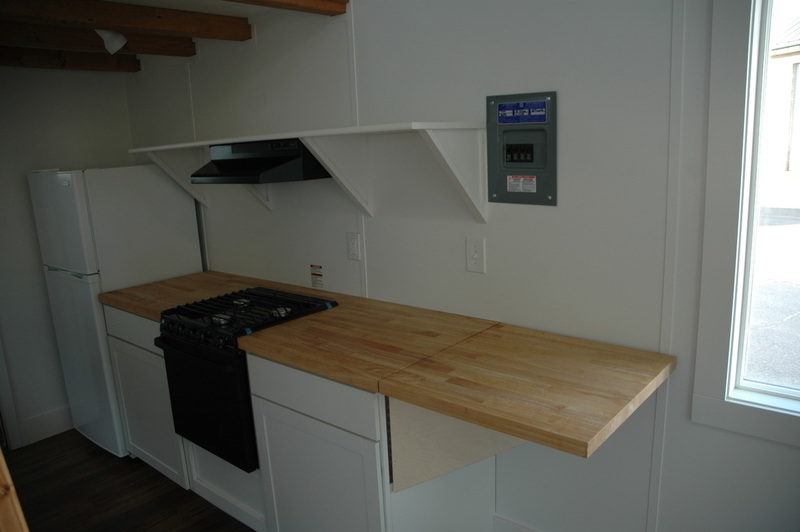 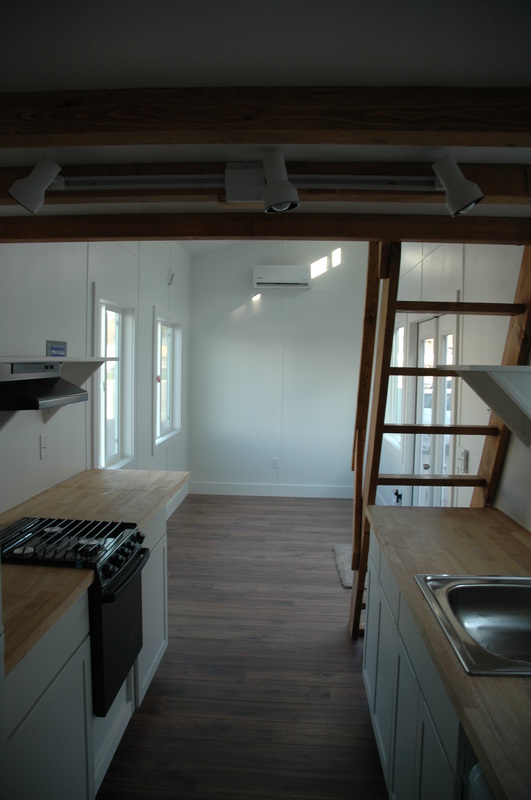 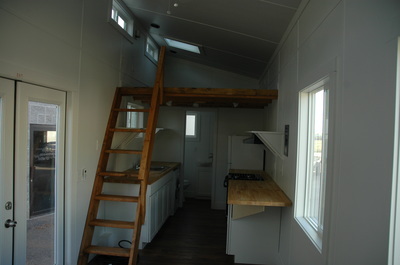 Here is the latest RVIA certified Tiny house RV that Tiny Idahomes finished, it is 26′ long with a shed roof cedar and metal siding. 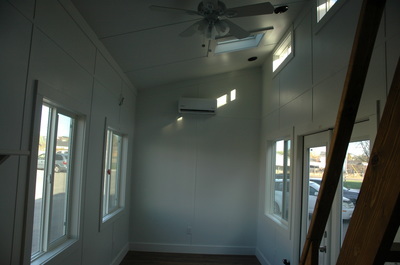 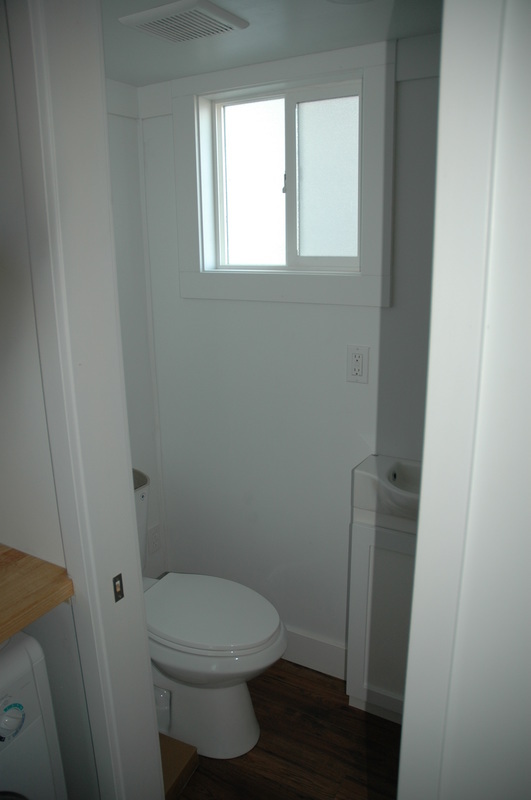 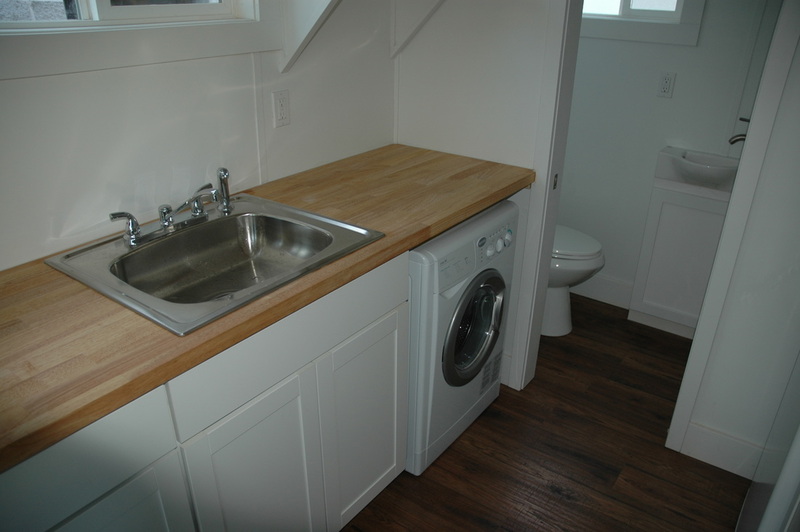 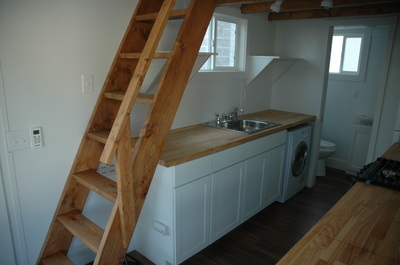 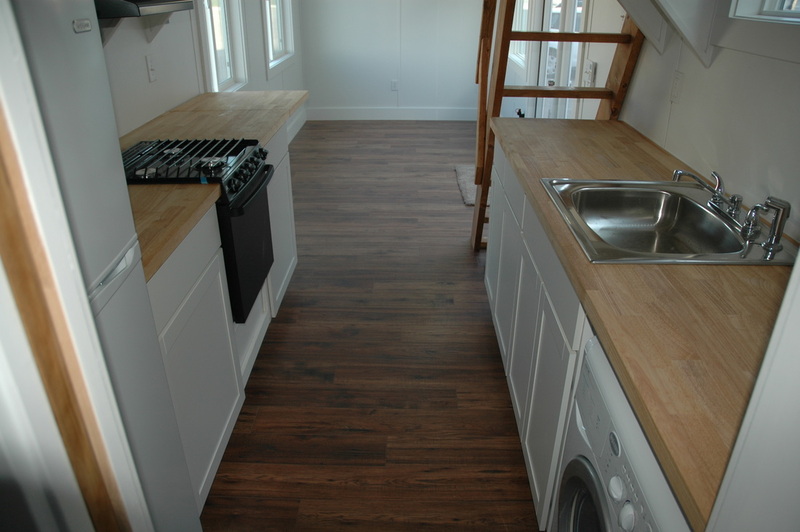 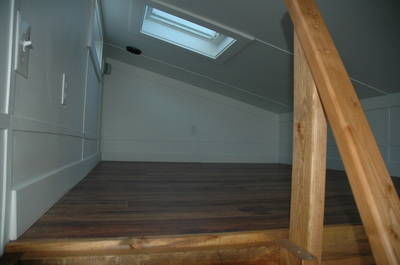 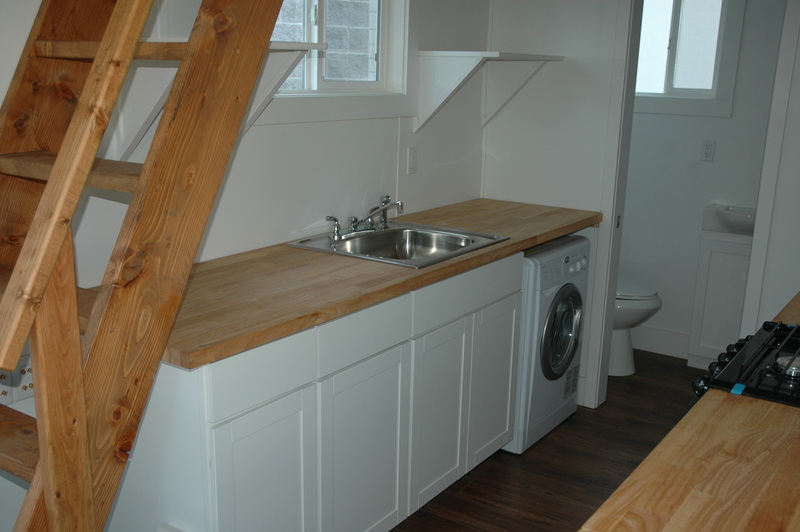 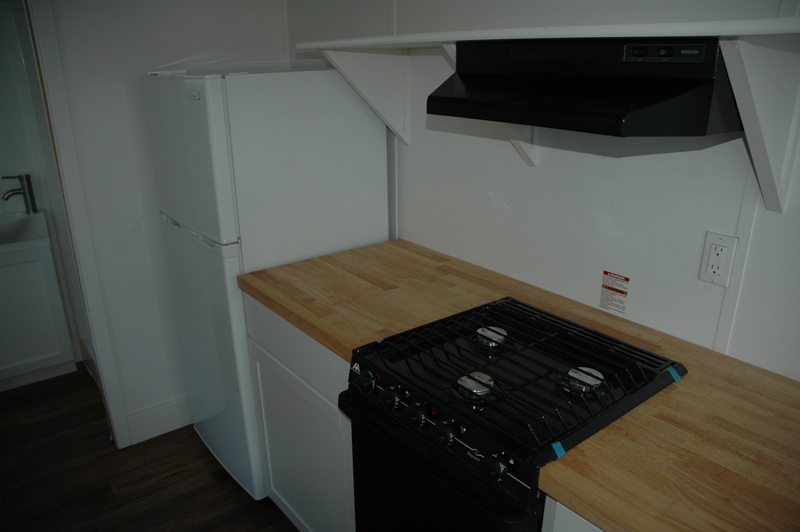 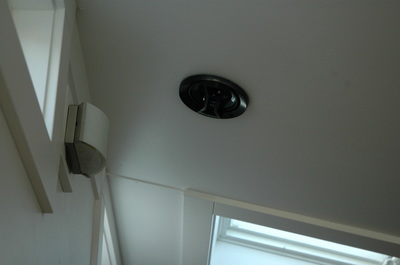 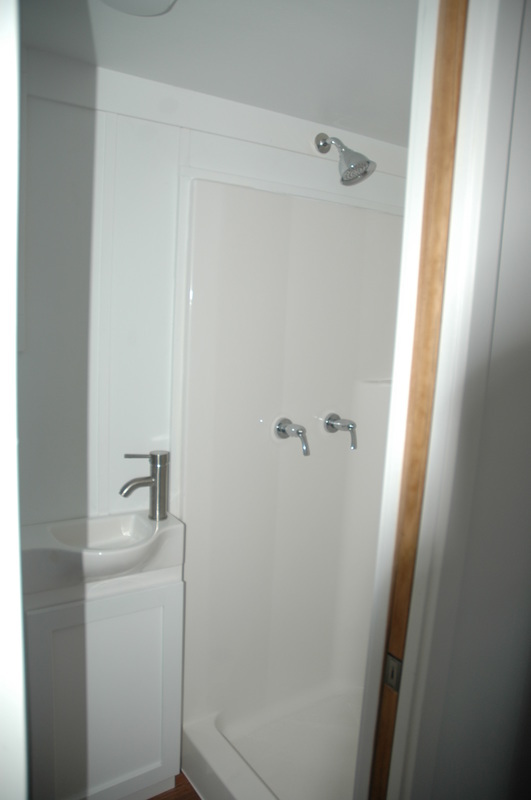 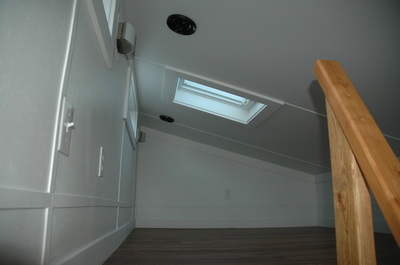 This unit has 2 skylights, french doors butcher block counter tops, laminate flooring, surround sound speakers, mini split heat pump, with a 36″ shower. Many more items not in the description but please have a look at the pictures.